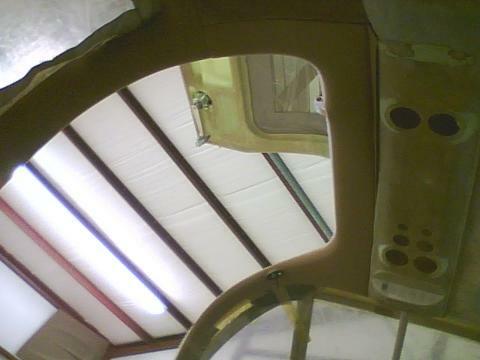 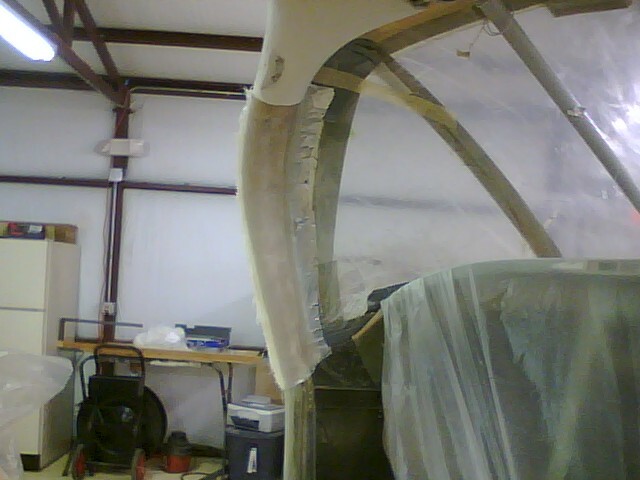 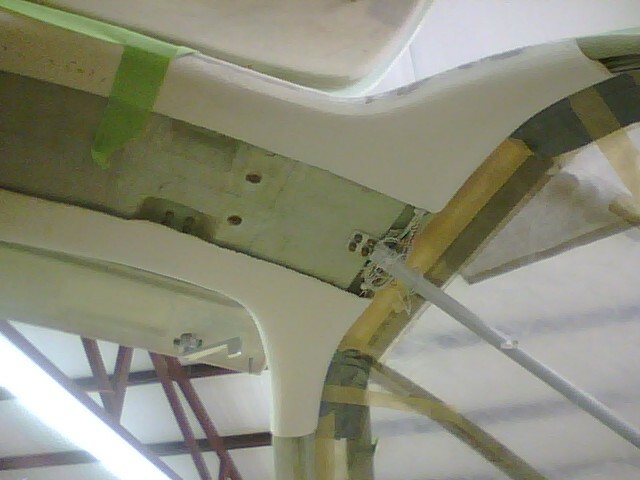 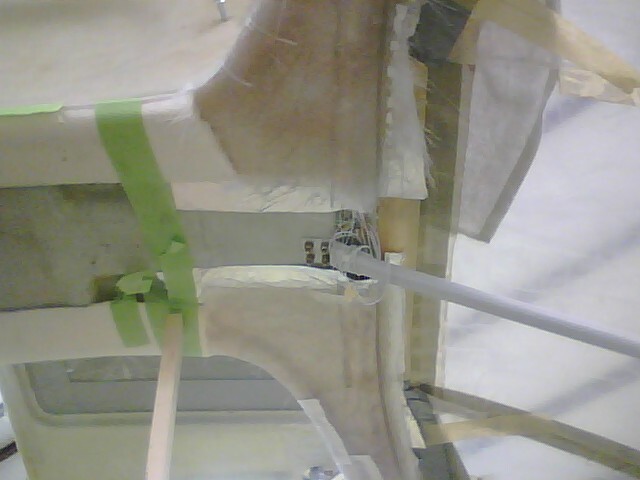 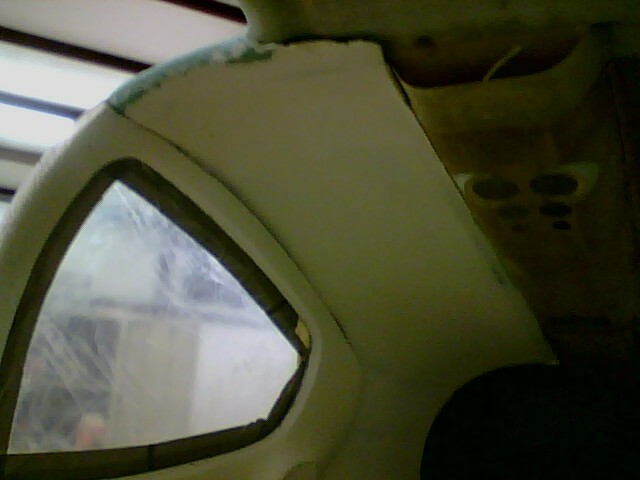 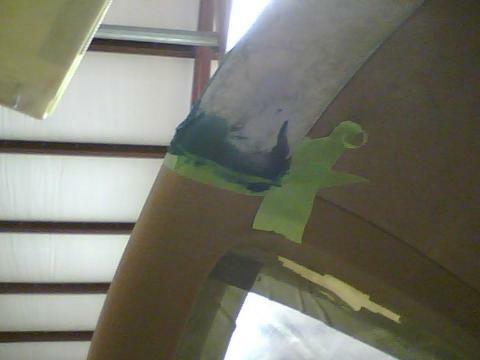 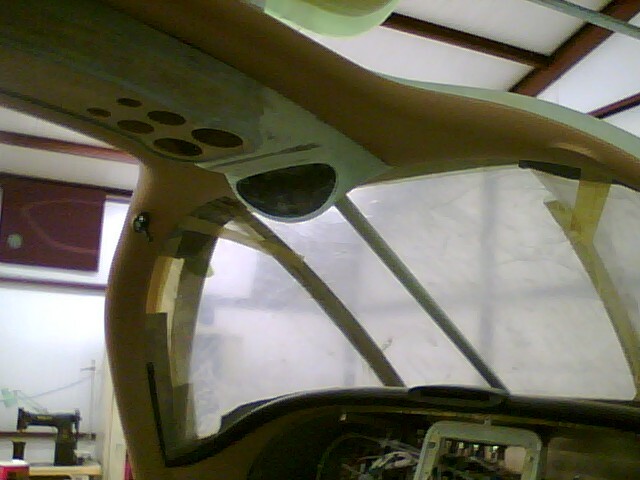 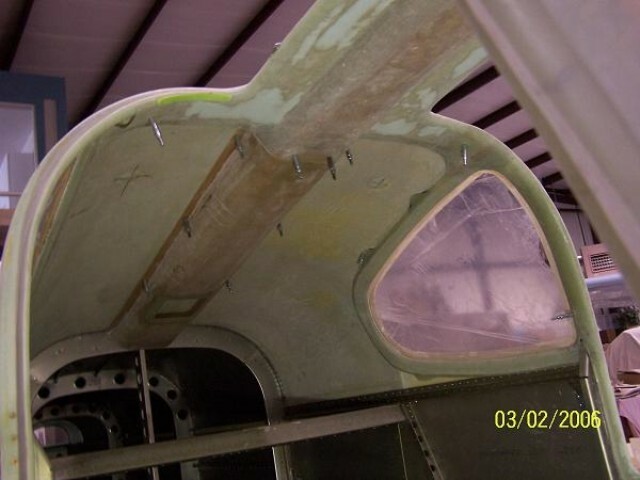 The overhead duct was made before the airframe top hat was installed. 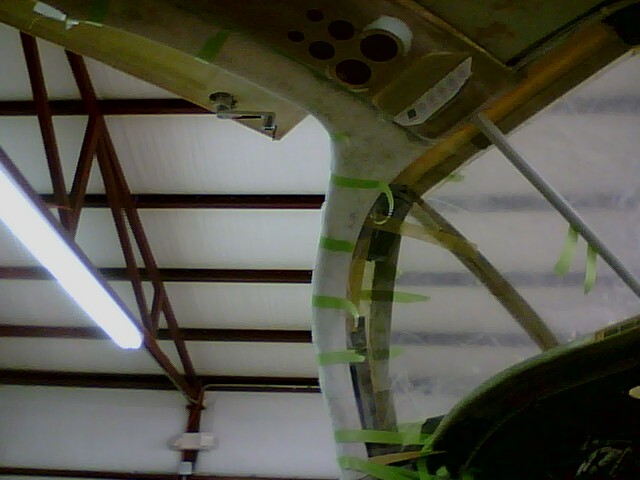 The aft duct is permanently attached. 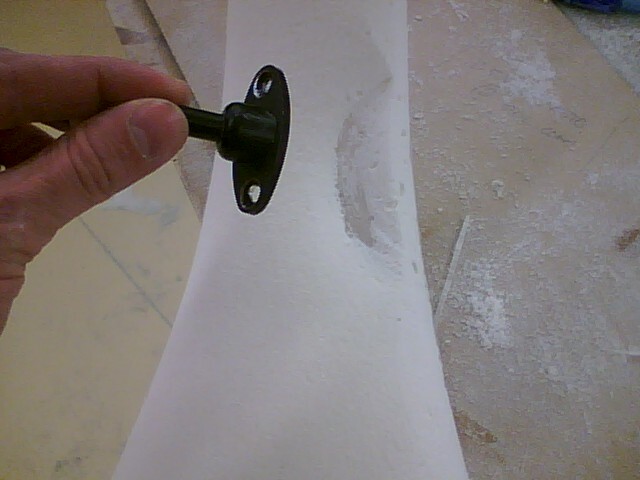 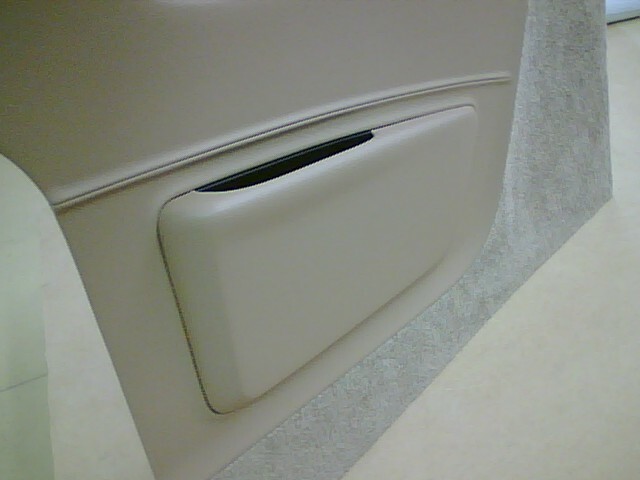 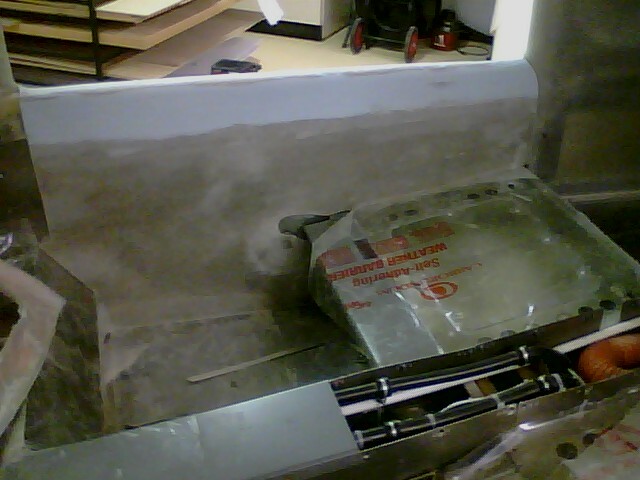 The forward duct is removable to allow access to door hinges. 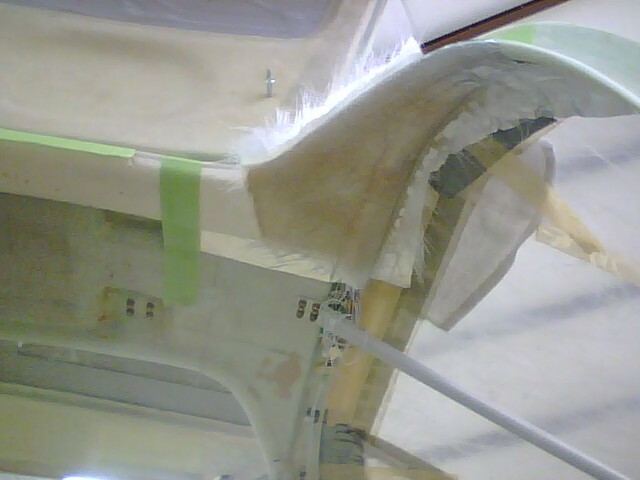 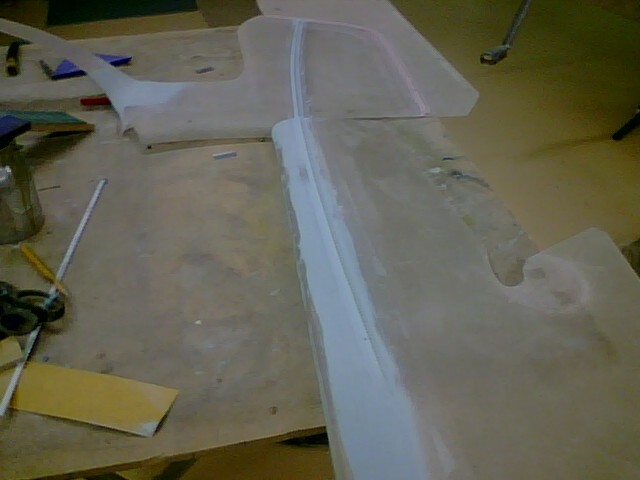 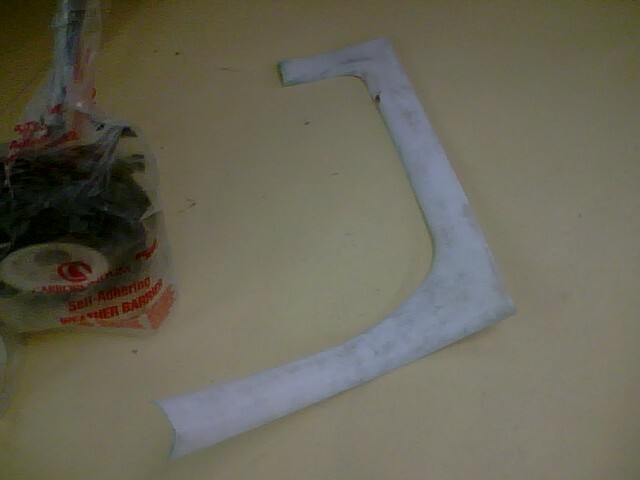 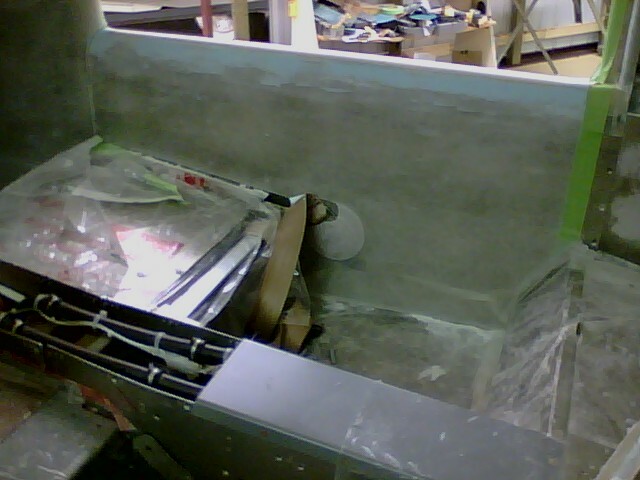 The forward duct overlaps the aft duct when installed. 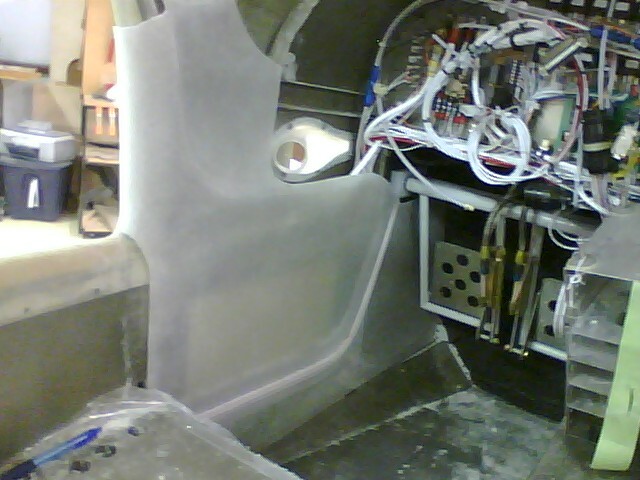 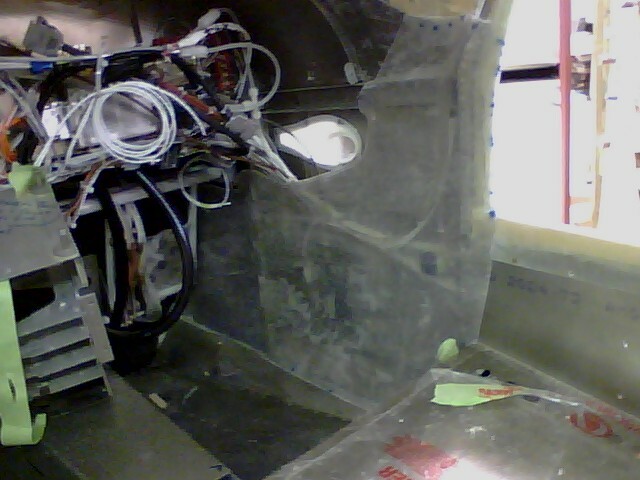 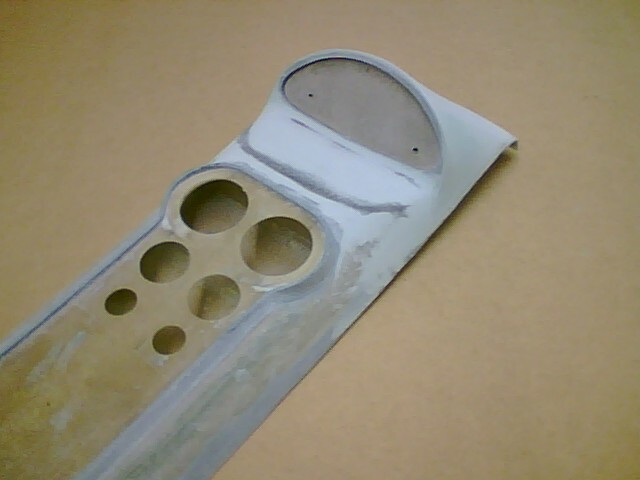 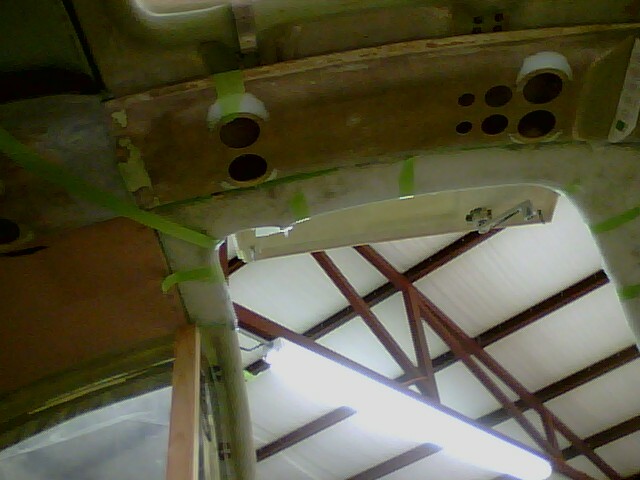 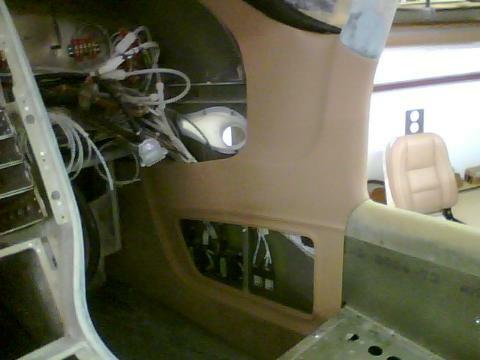 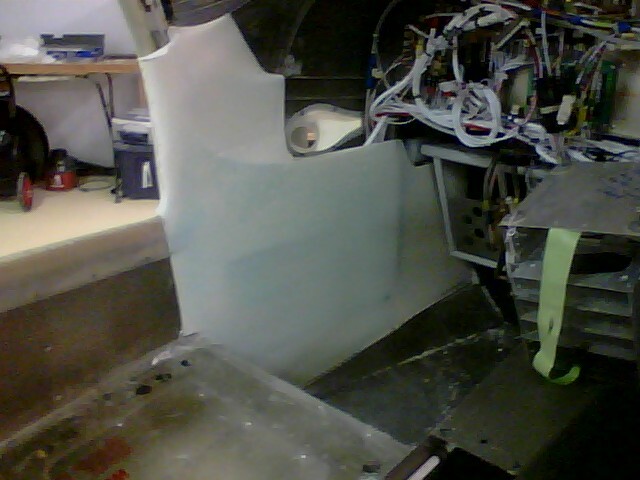 A switch panel was cut into the forward duct to hold the environmental controls (heat, fan, a/c...). 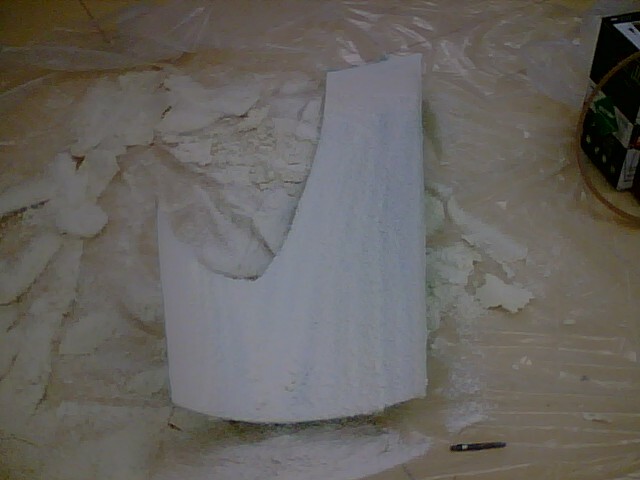 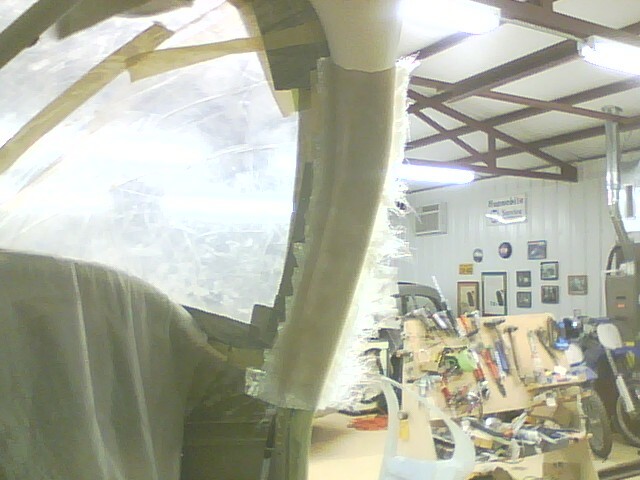 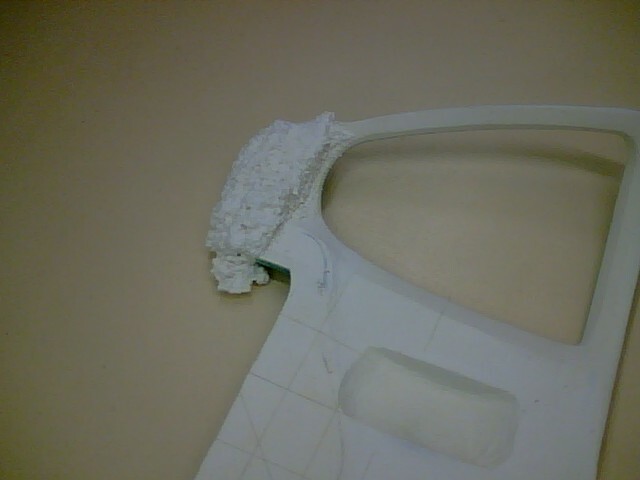 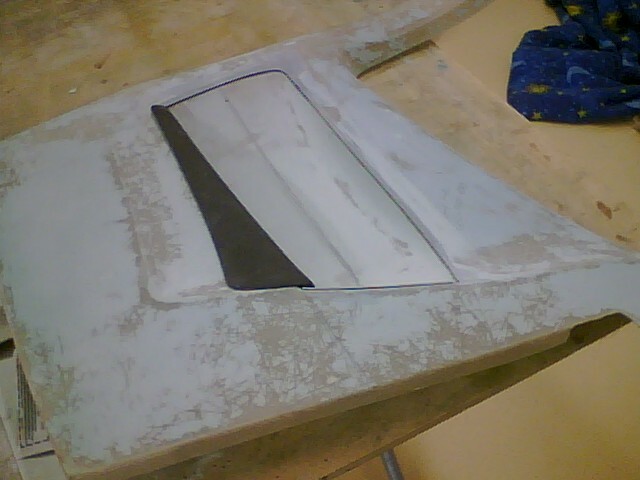 Cessna 310 sun visors were installed to the door post. 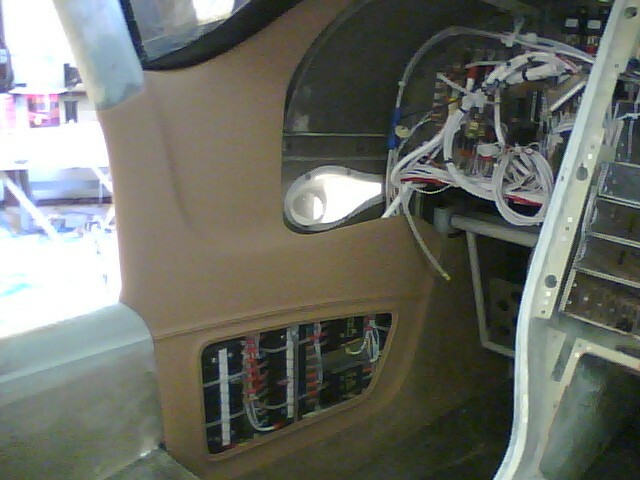 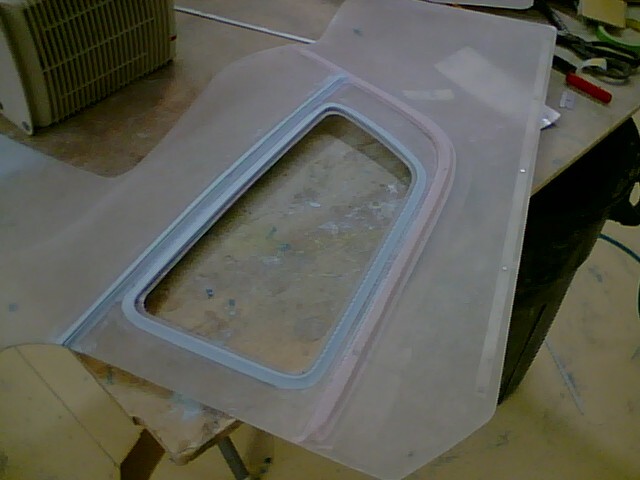 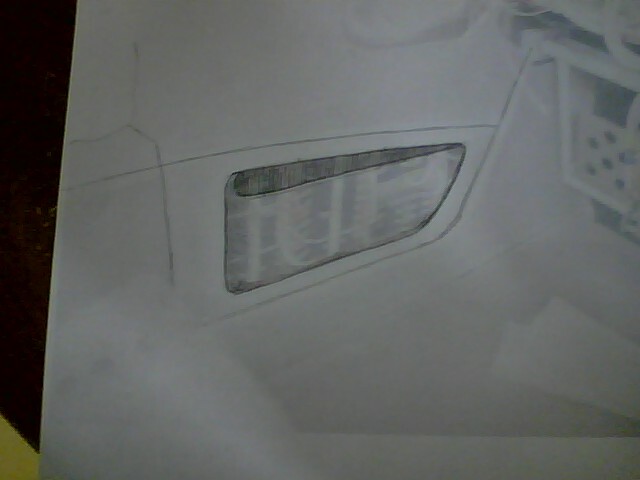 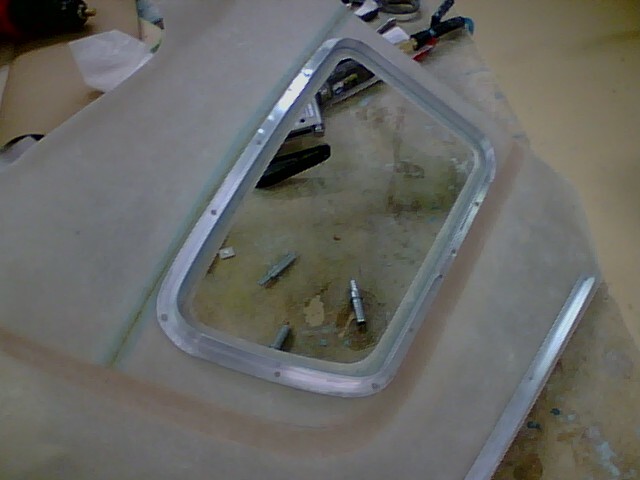 The visors align with the switch panel and stow forward of the duct. 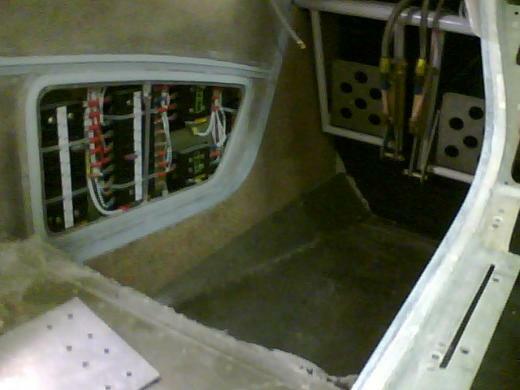 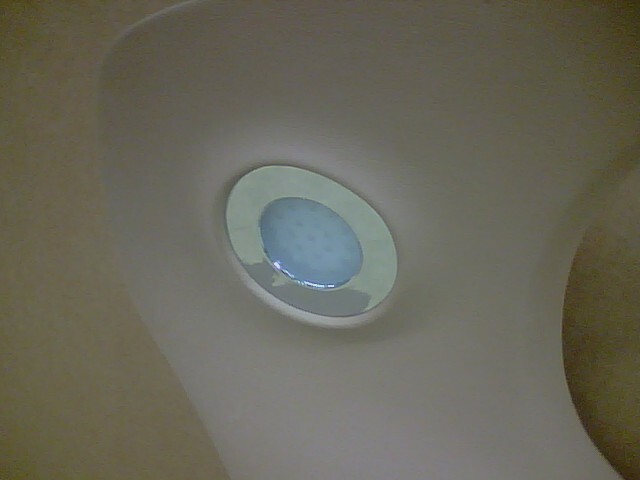 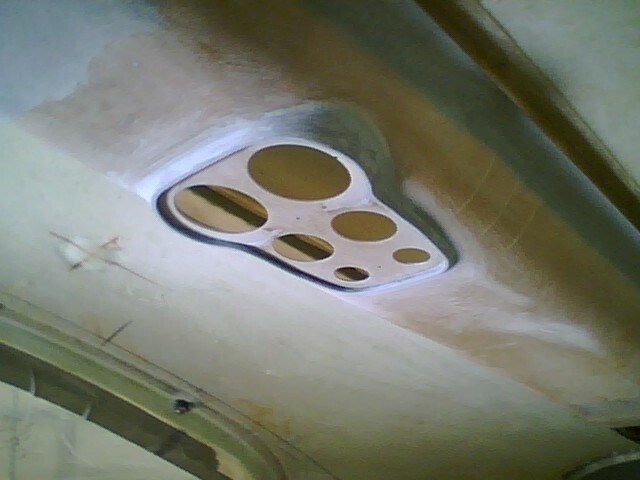 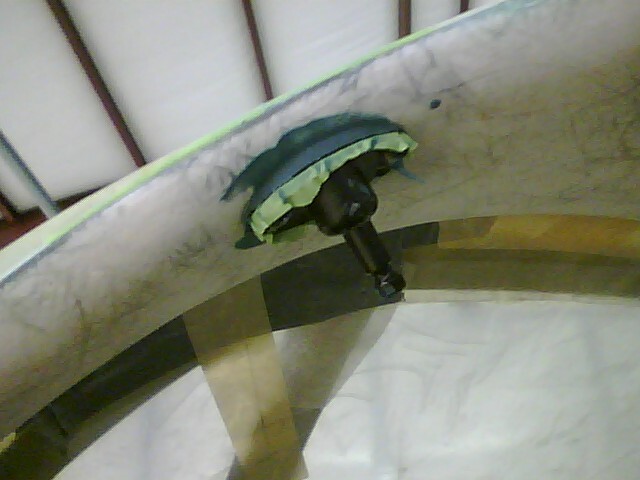 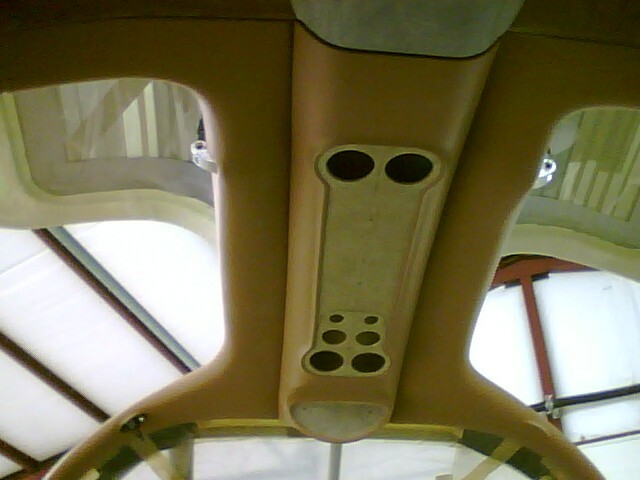 XM radio and GPS antennas are mounted inside the aft duct with a snap in cover installed for access. 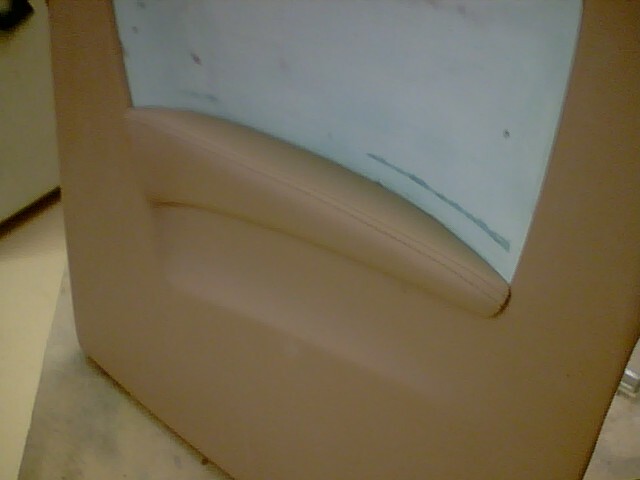 Door post covers were made that snap into place when installed. 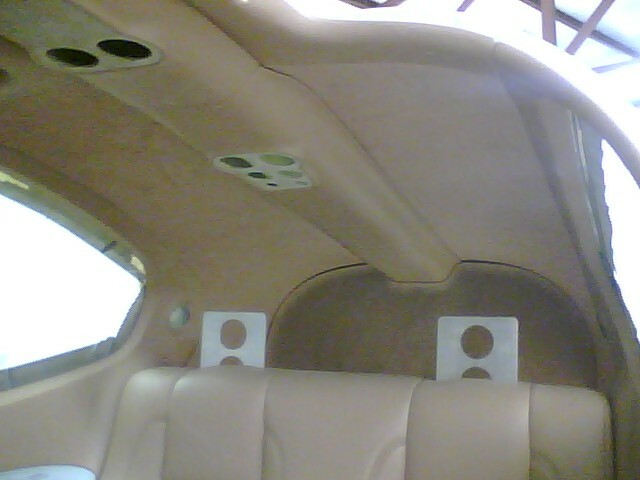 The overhead lights and switches are from a Cirrus. 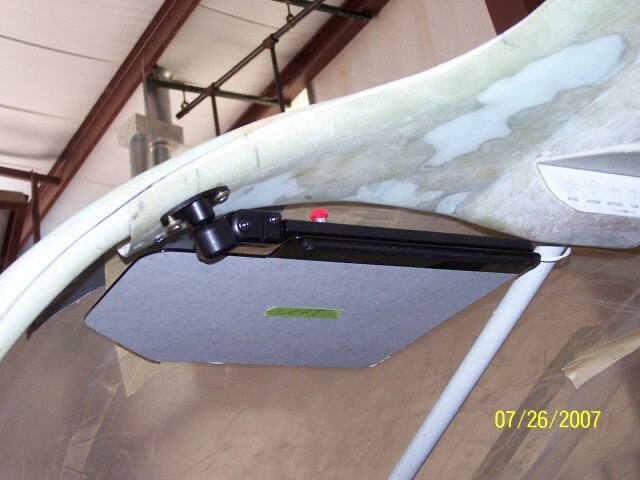 The overhead vents are supplied in the A/C kit from Airflow Systems. 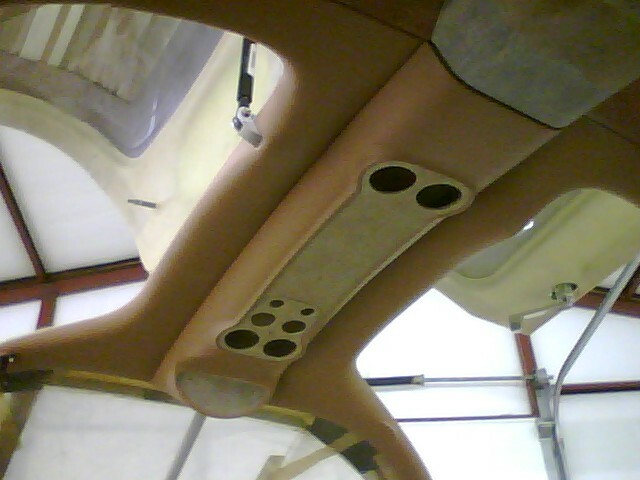 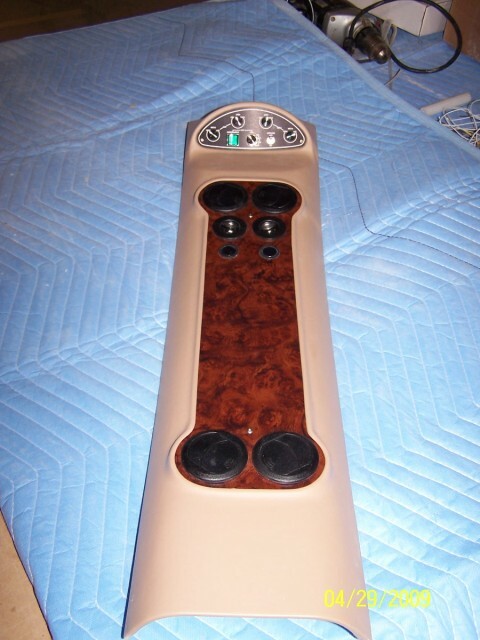 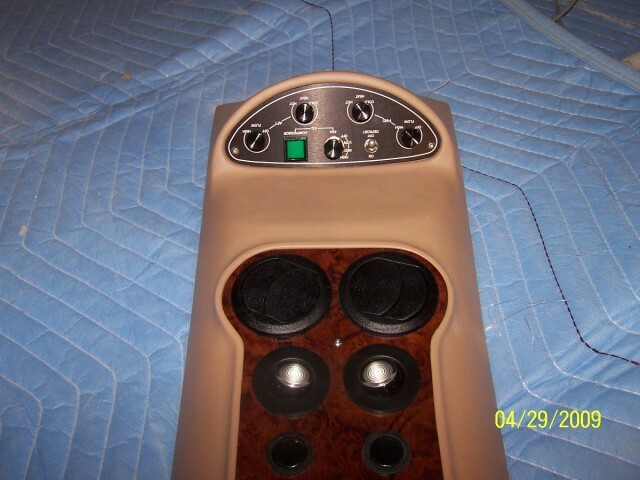 Wood grained inserts matching the center console will be applied in the vent/light areas. 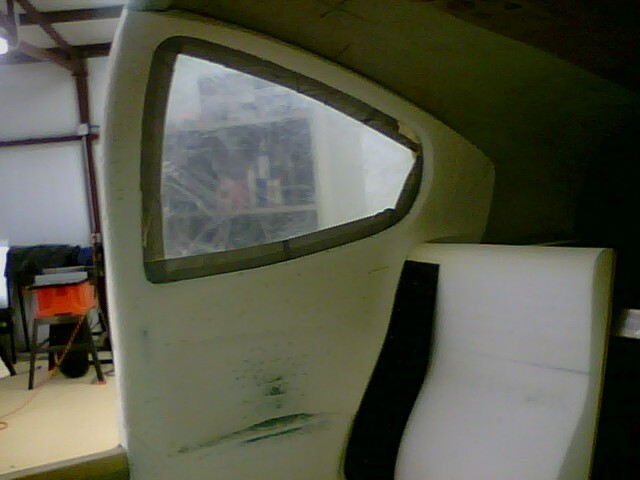 Chuck designed some neat kick panels for the front of the cockpit. 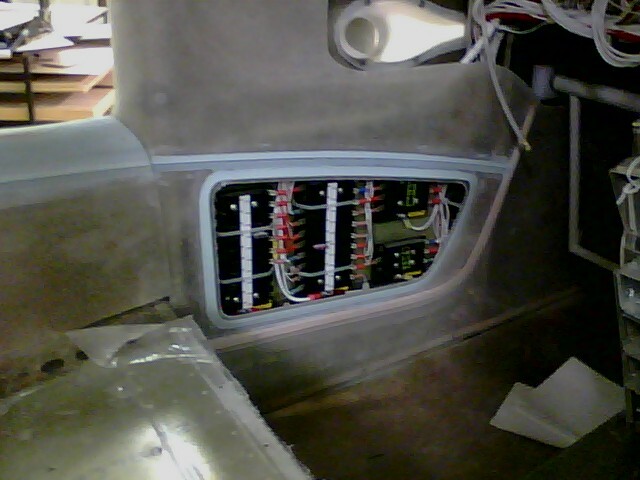 The panels include removal kick panels for access to the fuse panel on the left side and access to the heat servos on the right. 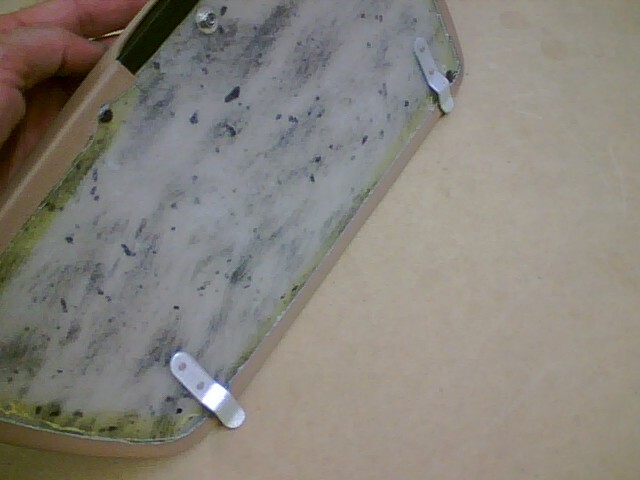 The kick panels included map holders on the outside. 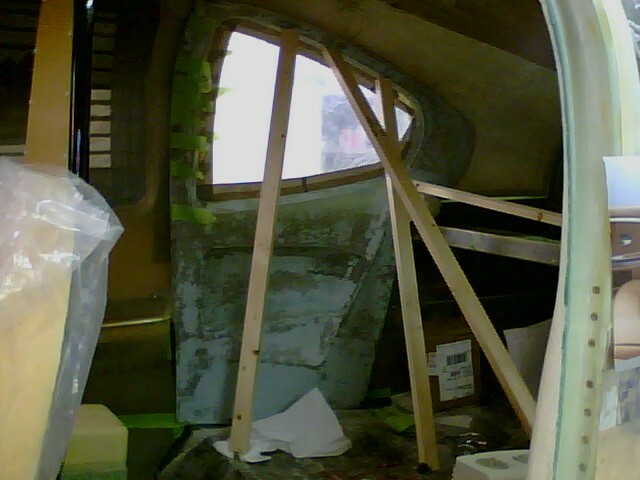 The panels snap in to place. 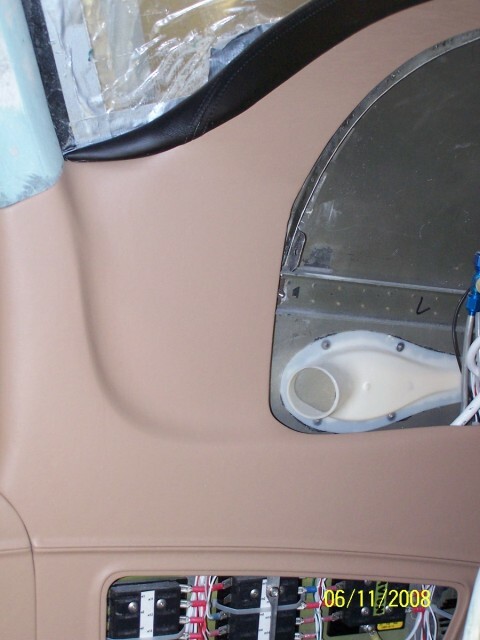 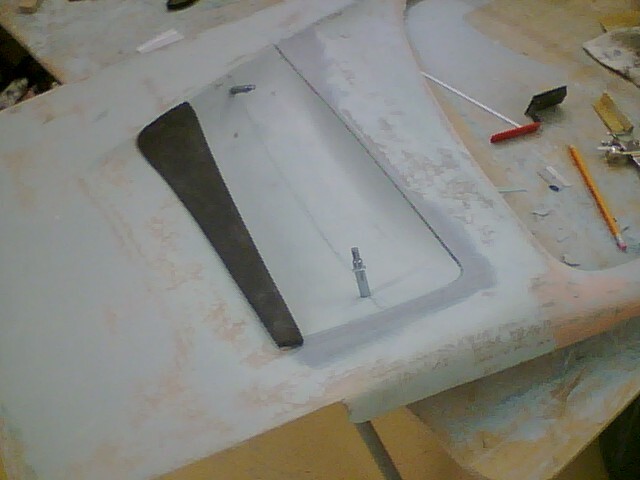 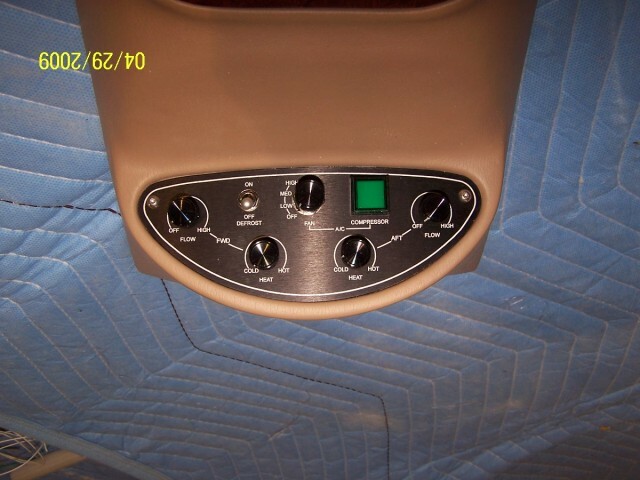 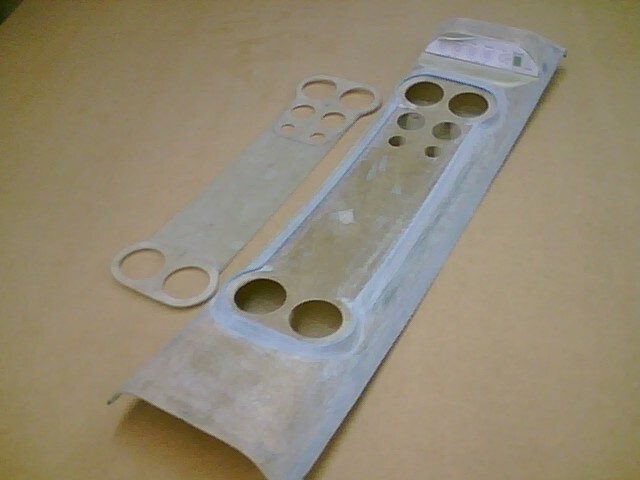 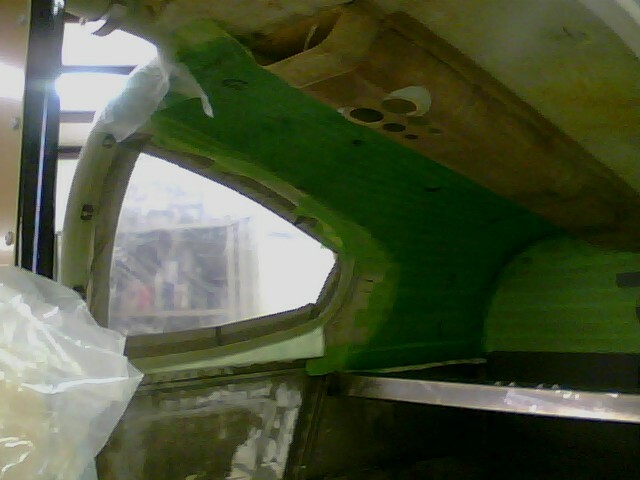 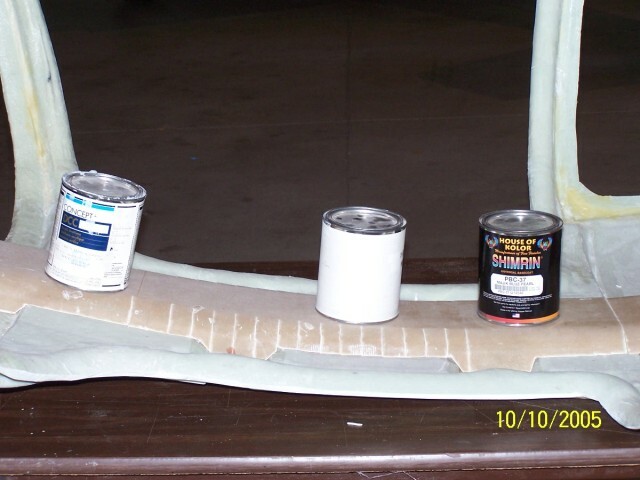 The upper portion of the kick panel is molded to allow the instrument panel to be removed without having to remove the kick panels. 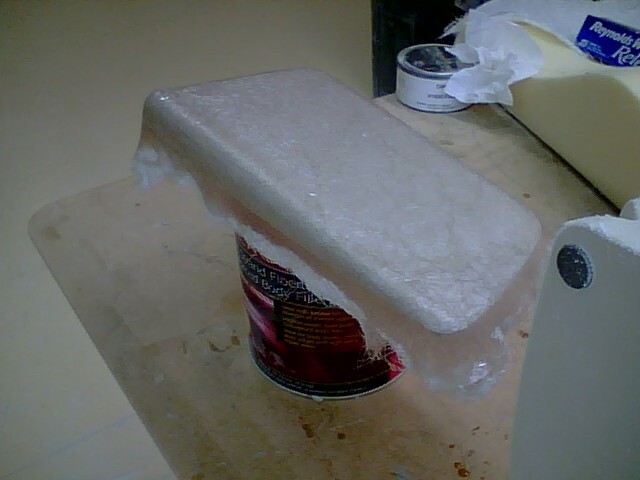 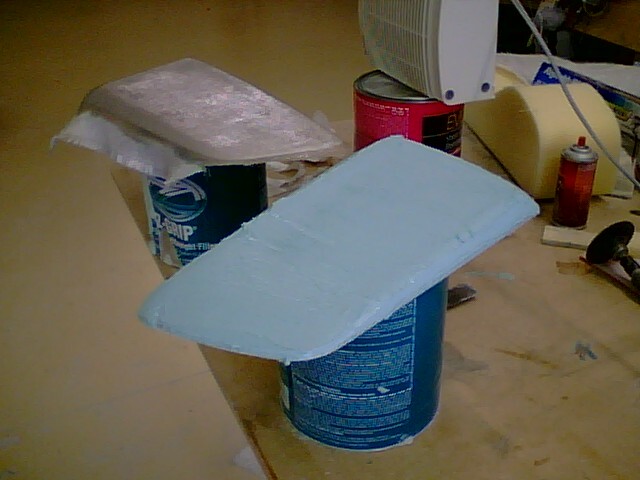 Chuck also made carpeted floor pans. 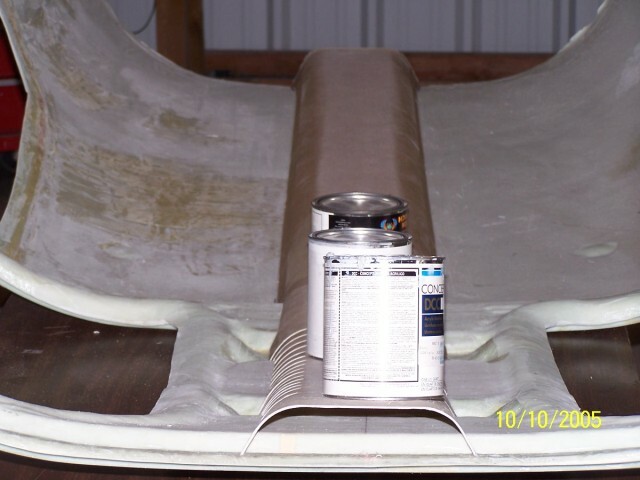 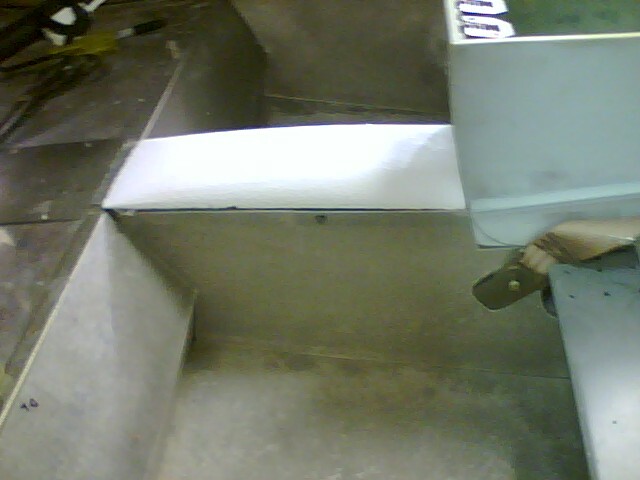 The floor pans can be removed as a single unit when maintenance or cleaning is required. 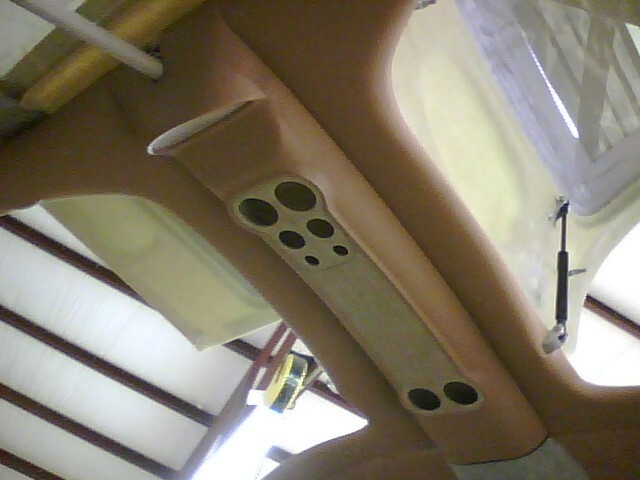 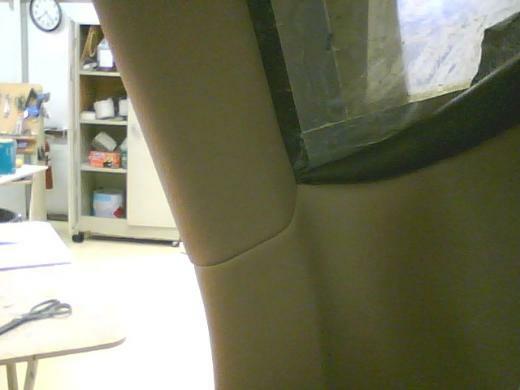 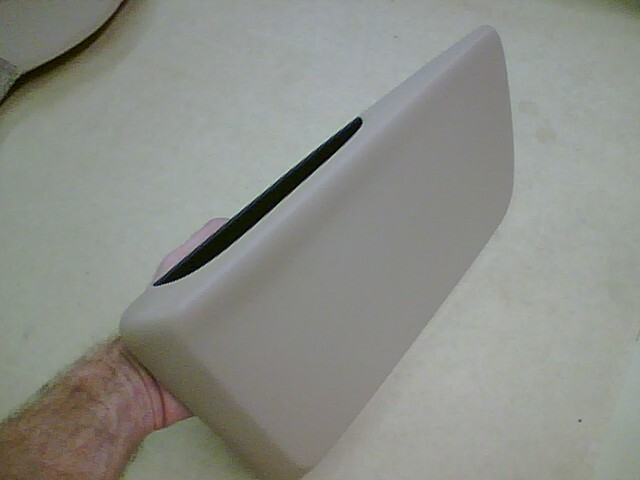 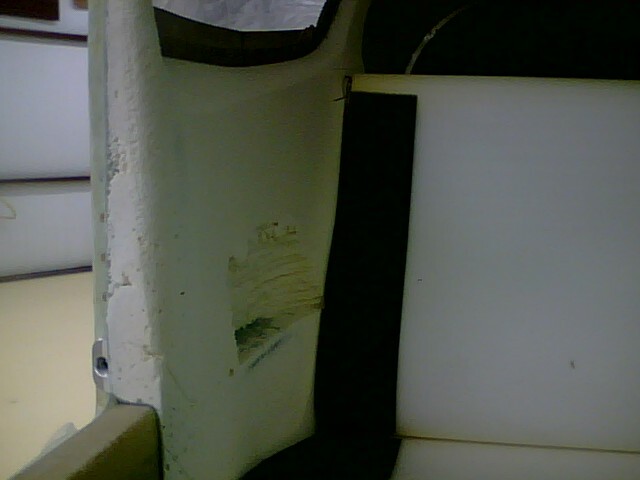 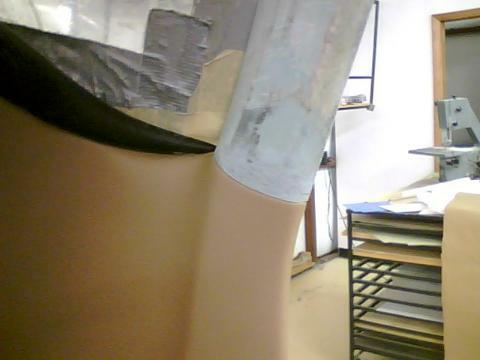 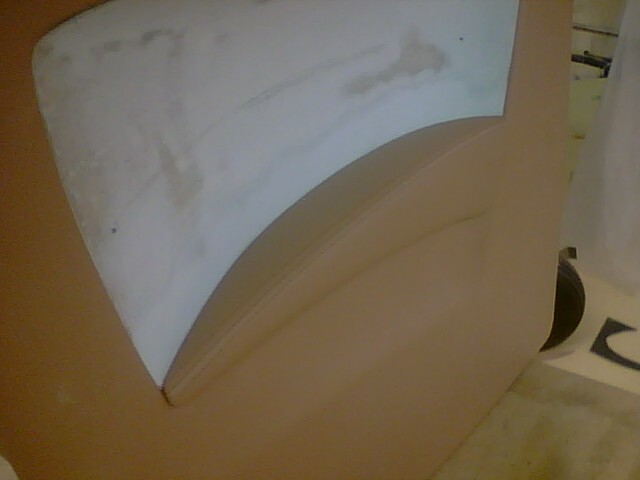 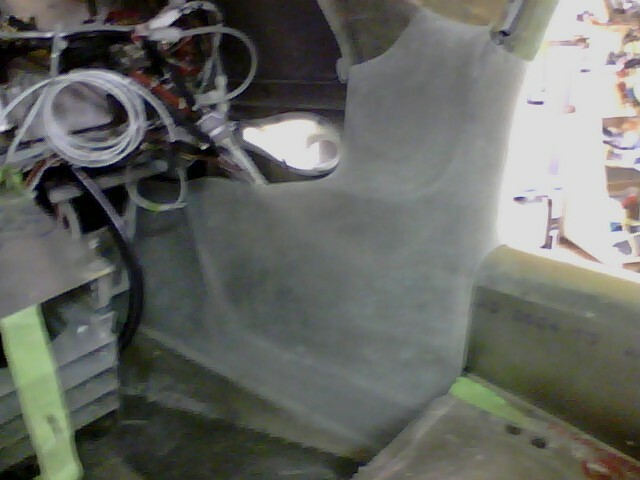 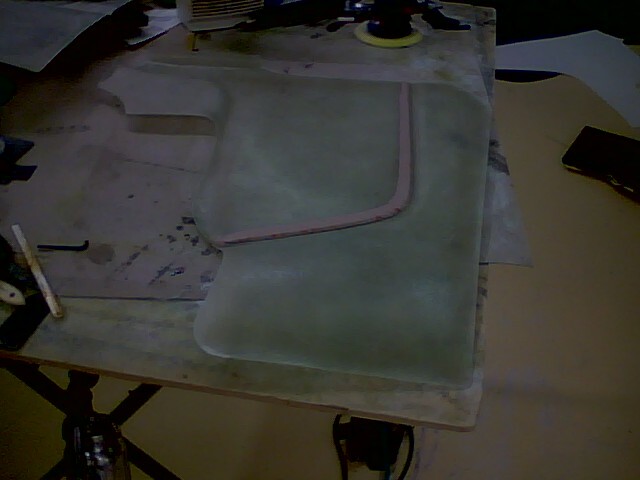 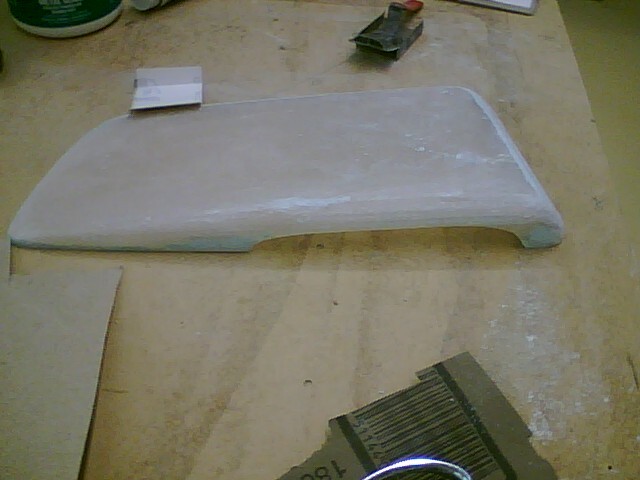 The back seat has molded side walls that include inset arm rests. 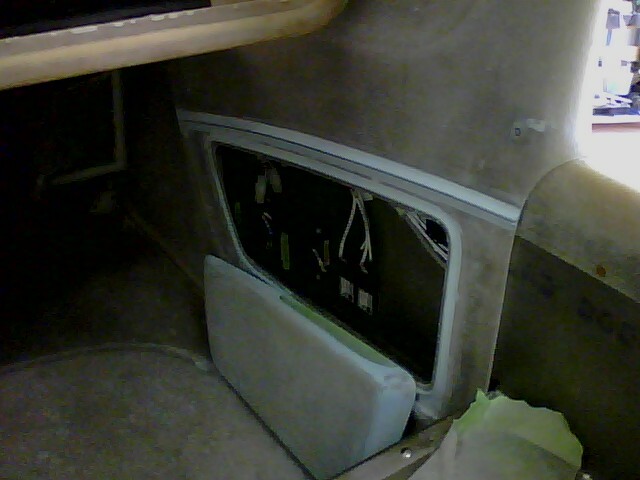 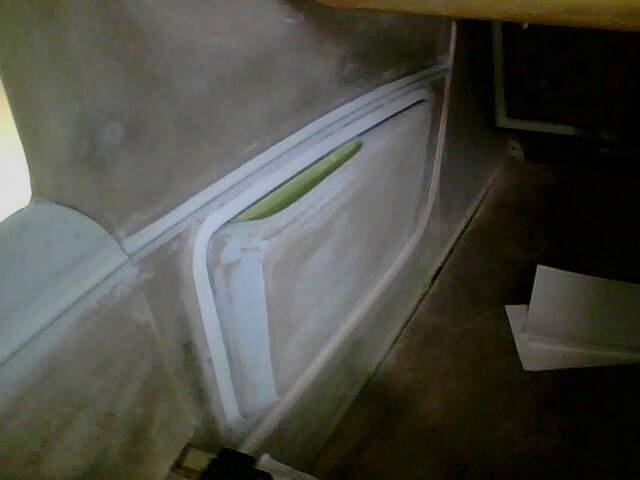 The side wall panels also include the frame around the back window and house the cargo baggage lights. 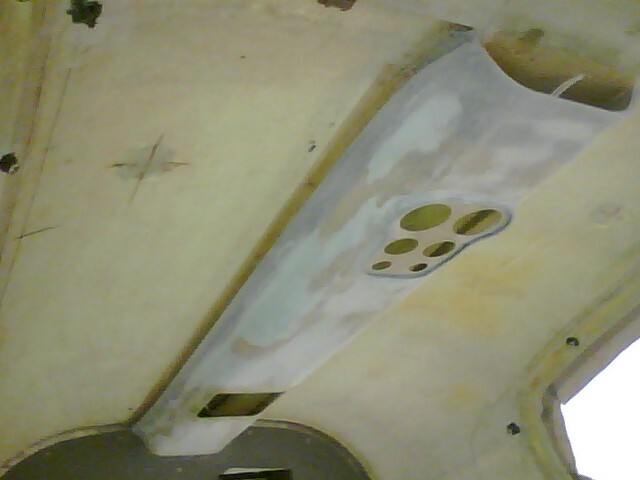 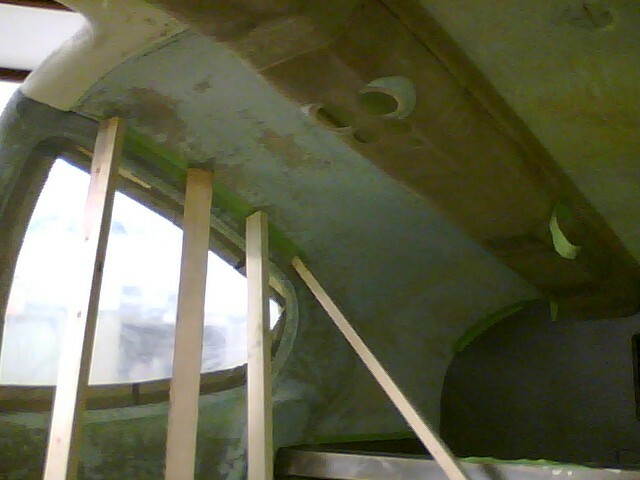 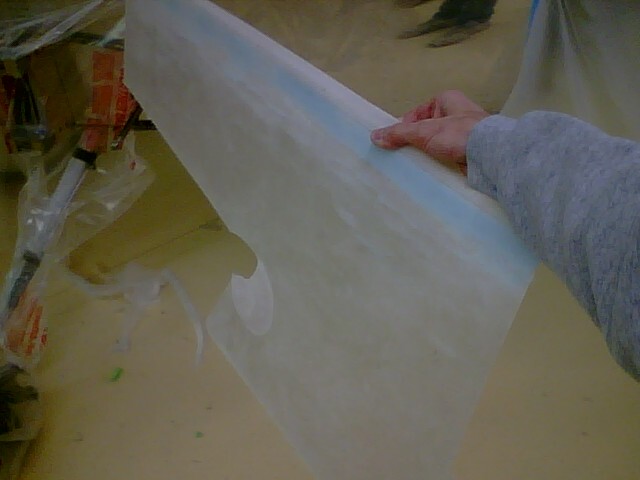 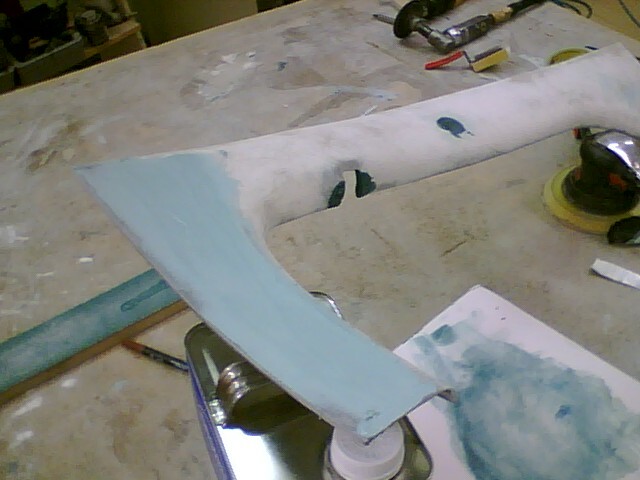 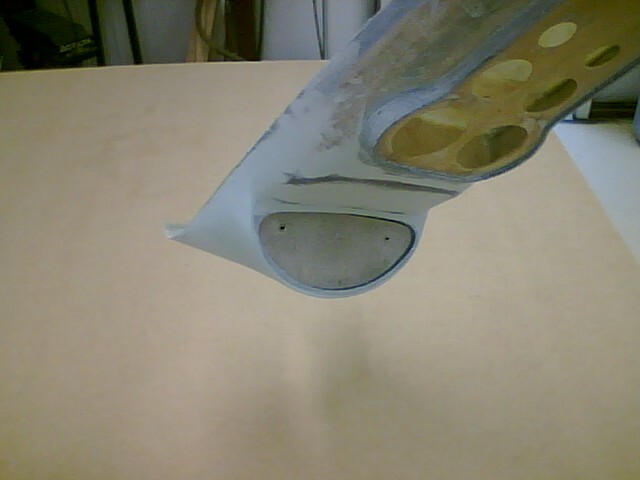 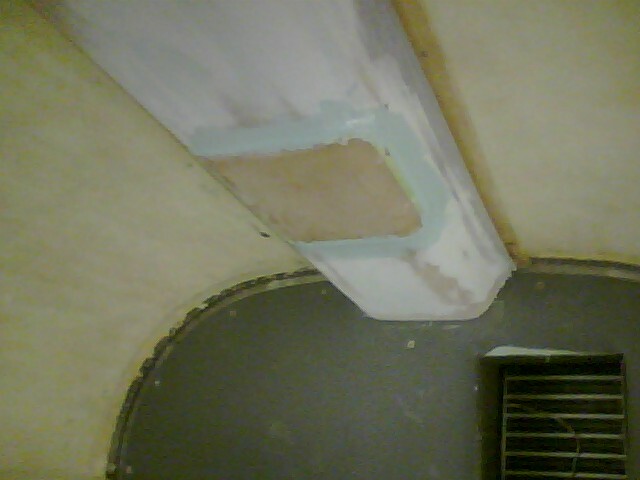 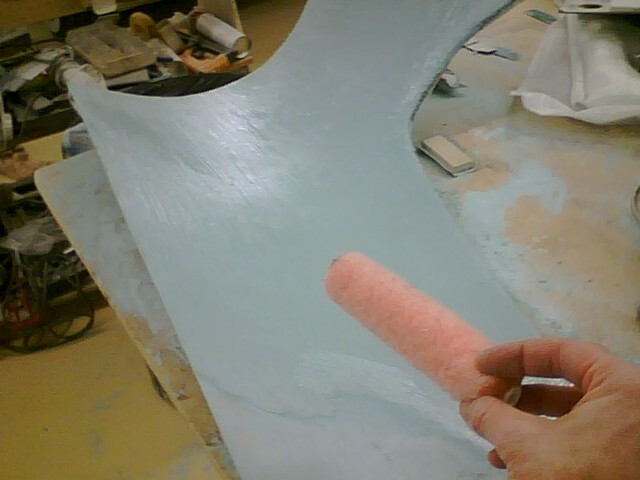 Covers were made for the side walls in the foot area. 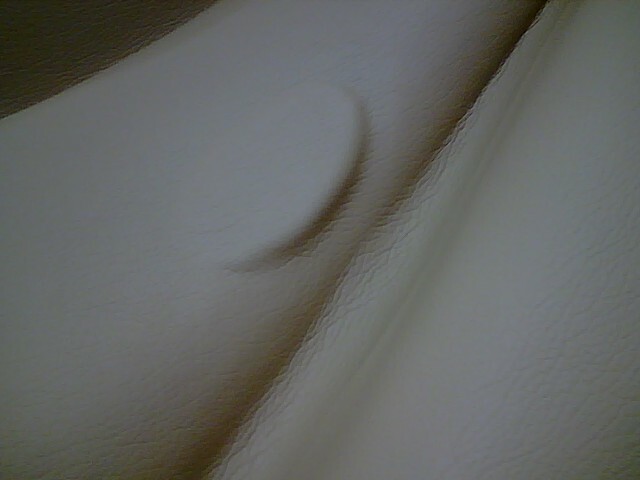 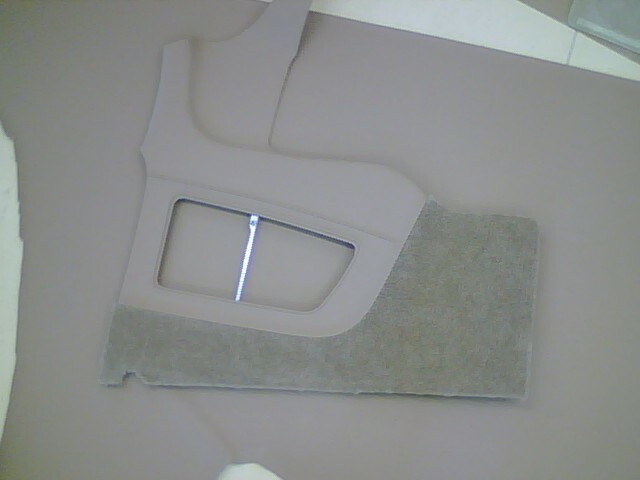 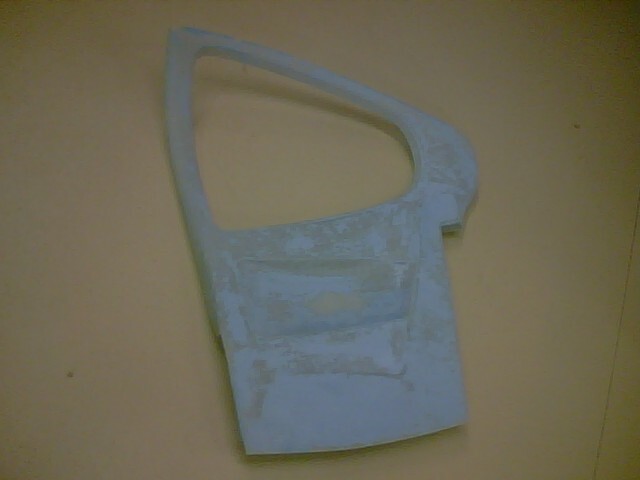 The covers included molded covers around the seat belt attachment. 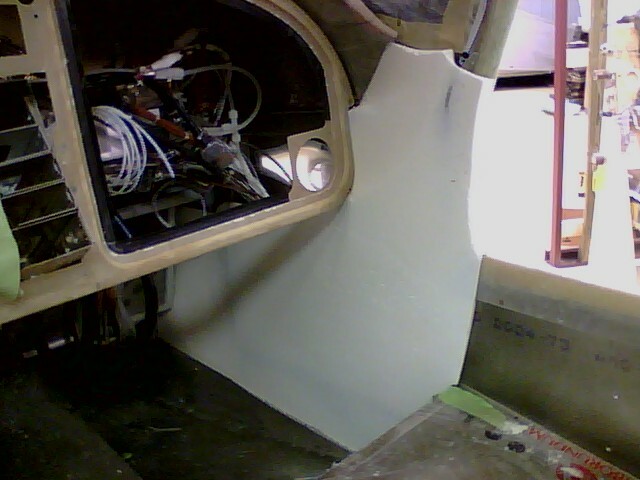 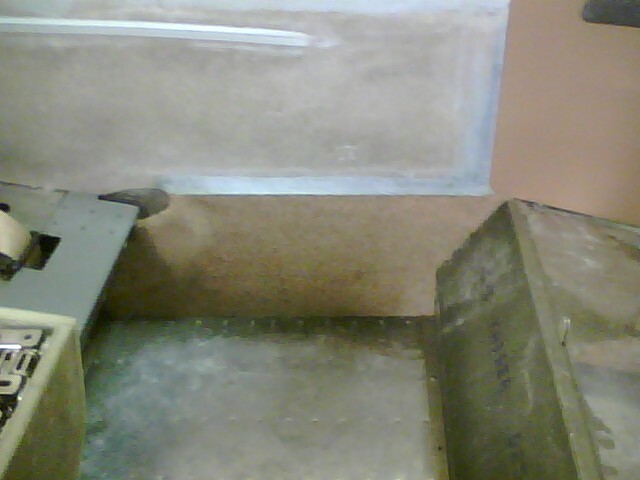 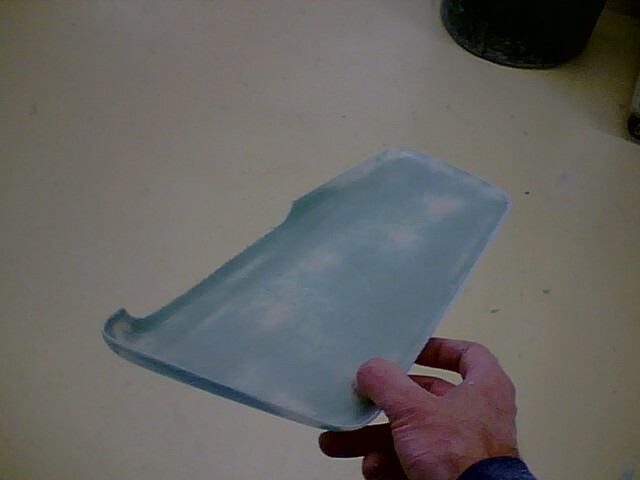 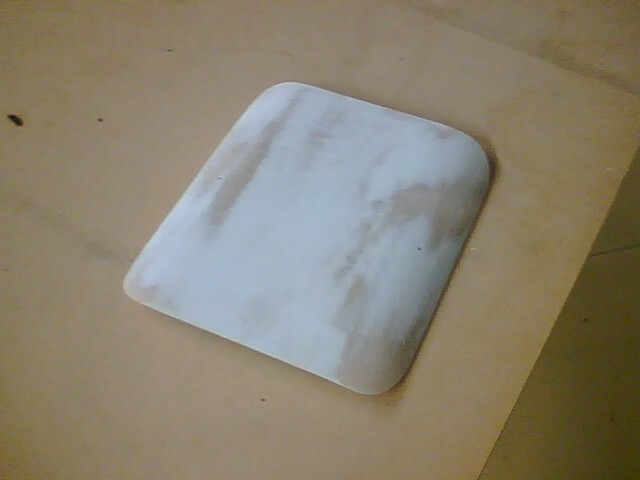 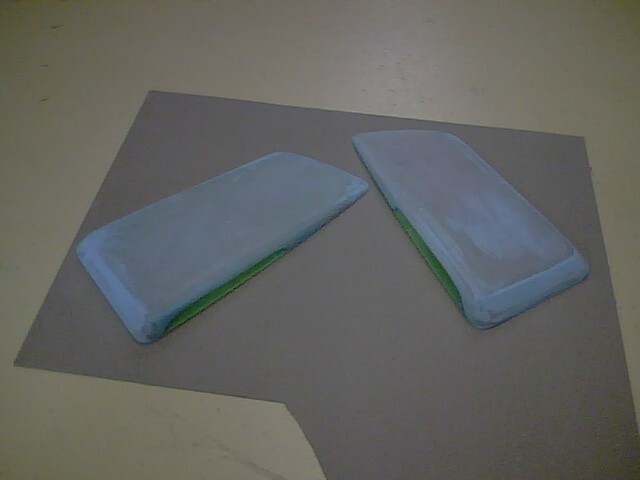 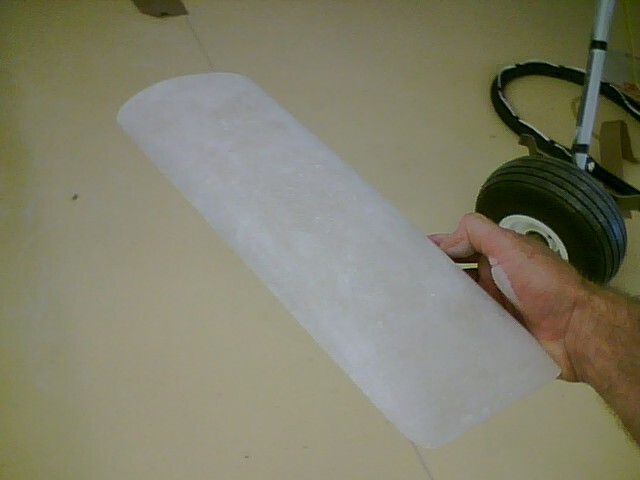 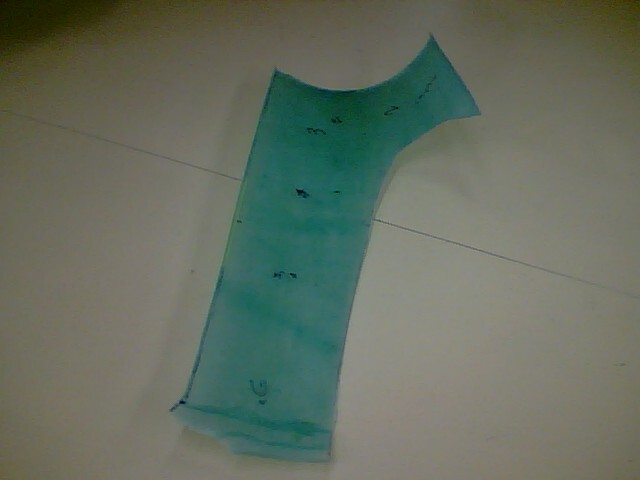 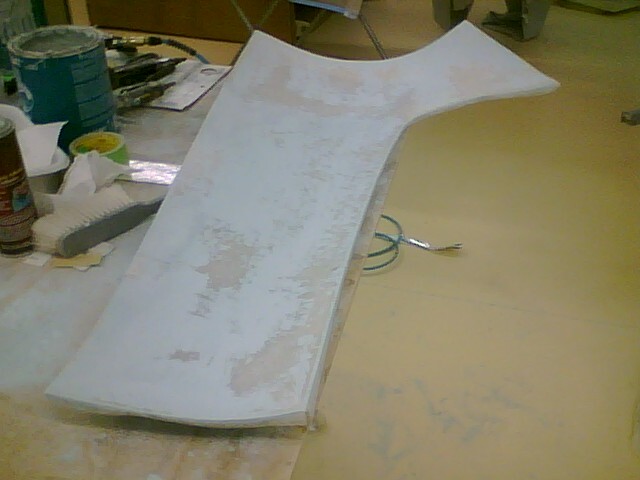 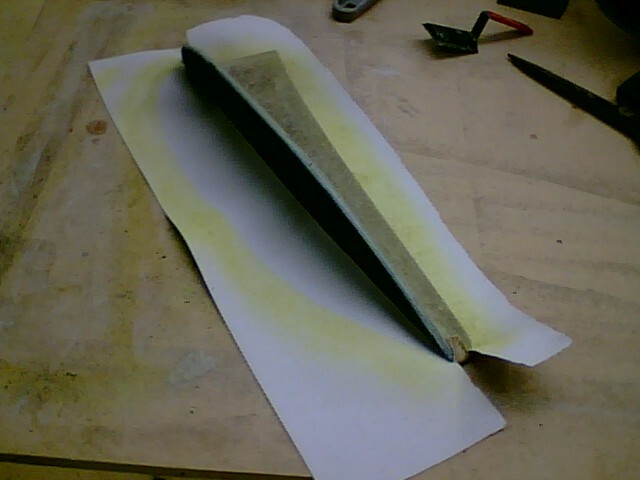 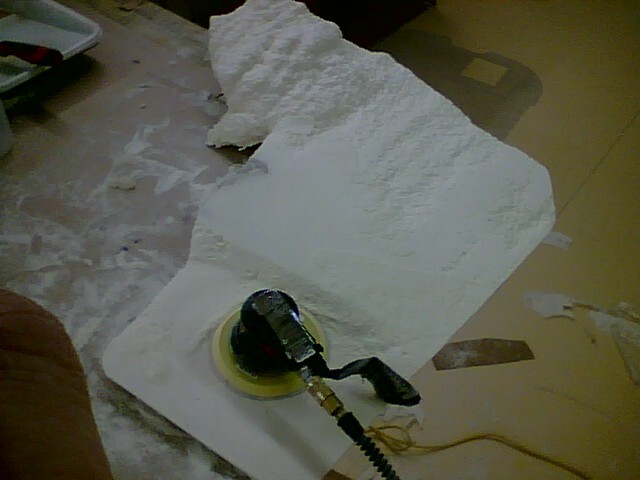 Removable floor pans were made for the carpet.